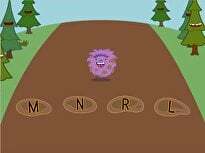 Students will be able to identify the letter Z, attempt to write the letter Z, and name a word that begins with the letter Z. Ask the students if they know what a ZookeeperDoes. Record responses on chart paper or a board. 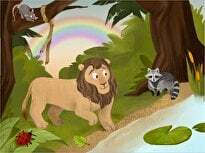 Tell the students to listen for the jobs of a zookeeper as you read Z is for Zookeeper. Refer back to the list made earlier. Ask students if they were correct about their answers and ask if there is anything new to add to the list. Record any new answers students give. 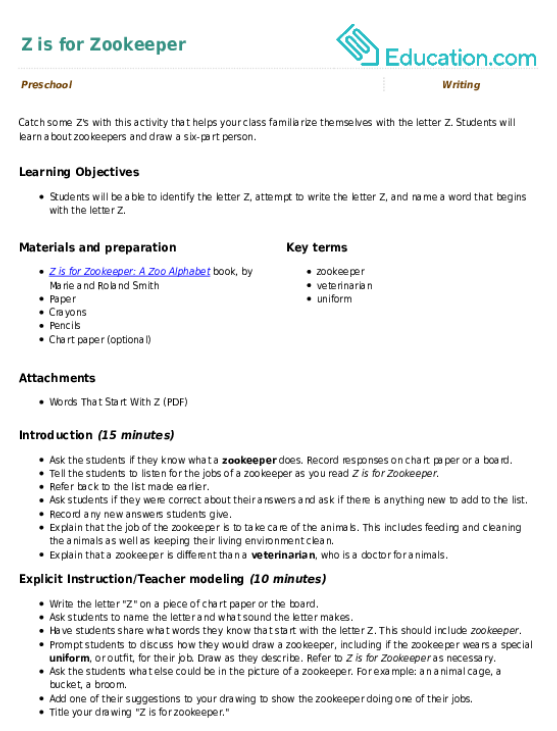 Explain that the job of the zookeeper is to take care of the animals. This includes feeding and cleaning the animals as well as keeping their living environment clean. Explain that a zookeeper is different than a Veterinarian, who is a doctor for animals. Write the letter "Z" on a piece of chart paper or the board. 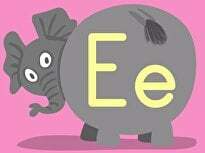 Ask students to name the letter and what sound the letter makes. Have students share what words they know that start with the letter Z. This should include Zookeeper. Prompt students to discuss how they would draw a zookeeper, including if the zookeeper wears a special Uniform, or outfit, for their job. Draw as they describe. Refer to Z is for ZookeeperAs necessary. Ask the students what else could be in the picture of a zookeeper. For example: an animal cage, a bucket, a broom. 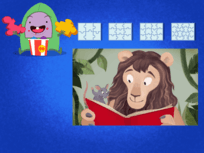 Add one of their suggestions to your drawing to show the zookeeper doing one of their jobs. Title your drawing "Z is for zookeeper." Have students return to their desks. 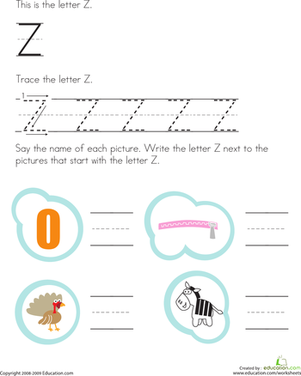 Assist students in practising writing the letter Z with their fingers on the table and in the air. Give each student a piece of paper. Have students write their names on their papers. Instruct students to draw a zookeeper. Remind students that people have a head and a body, and that arms come out of the sides of body, and legs come out of the bottom of the body. Advise students not to forget to draw hands and feet as well, and to include hair and facial features. Remind students to give the zookeeper clothes, and to add something that they would use in their job. After the students have drawn their zookeepers, have them title their drawing "Z is for zookeeper". Enrichment: Students who need more of a challenge should try to phonetically spell out the sentence "Z is for zookeeper". 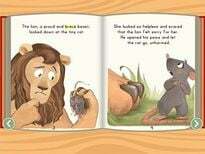 They could also add additional sentences about what the zookeeper is doing in their picture. 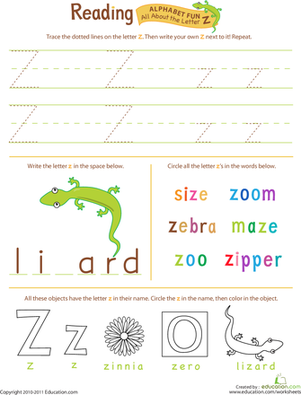 Advanced students can also colour the Words That Start With Z worksheet to begin learning other words that begin with Z. 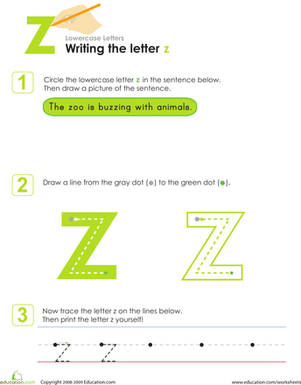 Support: For students who need extra help, write "Z is for zookeeper" and allow the student to trace the sentence instead of writing it themselves. Make note of whether or not the zookeeper has six body parts. 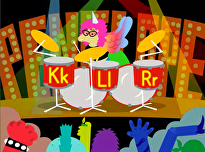 Check to see if the student is able to name the letter Z and if they can tell you the sound it makes. 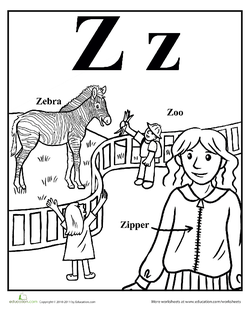 Have each student individually read the sentence "Z is for zookeeper"as you point to each word. Ask each student to name something that the zookeeper does in their job. Z is for zebra! Kids completing this prekindergarten reading worksheet circle the pictures that begin with a Z sound. This worksheet is great phonics practise. This monster Z is ready for some colors. 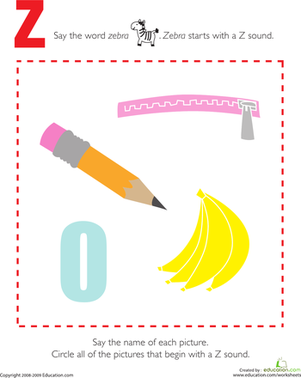 Help your child review his ABCs as he colors the page. Pick the pictures of words that start with the letter Z, and put them in the Busy Z Book.